What’s your summer food? 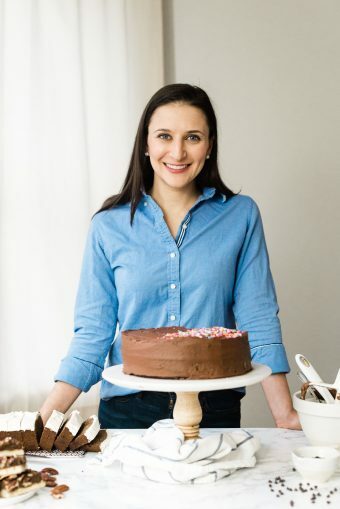 You know, that one dish that you look forward to making all year when the ingredients are at their peak: popsicles…ice cream…pie?? Call me crazy, but for me it’s pesto. There is no way I can get through a summer without making at least one monster batch of it. When I see those big bunches of fresh basil at the grocery store (or, this year, lucky for me, in my CSA box), it feels like a crime not to scoop up as much as I can carry and scurry home as fast as I can to make pesto. It always feels like I am getting away with something; like I should be wearing a stocking over my face and carrying my bounty of basil out of the store in a burlap sack with a dollar sign on the side of it. Give me all your basil, I have a gub. I buck tradition (and make my Italian descendants roll around in their graves) by forgoing cheese in my pesto in favor of extra salt and garlic. Don’t worry: there is no lack of flavor here. Of course, you can feel free to add grated hard cheese like parmesan or Romano if you want to. But the real flavor in this version comes from the peppery, slightly lemony arugula that I use to mix things up and stretch my basil bounty a little further. If you are lucky enough to have a basil plant taking over your backyard, feel free to use all basil and make traditional pesto. But aside from the 1-2 weeks per year when it’s abundant in the store and the price goes down, it tends to be a pretty expensive herb, so I like to use other greens like kale, spinach or, in this case, arugula, to make a little bit of basil go a long way. This recipe makes a ton, so you’ll be set for awhile. It keeps well in the freezer; freeze the extra in ice cube trays (or small jars, since one ice cube worth of pesto at a time is not nearly enough for me), then transfer the cubes to an airtight bag or container and simply defrost in the microwave or at room temp when you’re ready to use them. 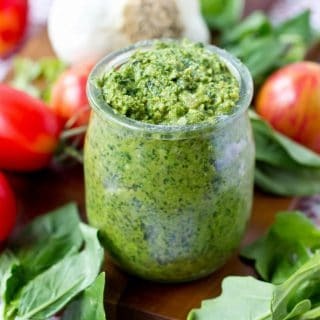 Keeping a stash of homemade pesto on hand is one of my absolute favorite ways to make weeknight dinners quick and easy. (Optional) Toast the pepitas and pine nuts in a dry pan over medium high heat for about 5 minutes, shaking the pan every 60-90 seconds to make sure the nuts and seeds don't burn. Remove from heat after 5 minutes, or when they begin to smell rich and fragrant. Set aside to cool slightly. In the bowl of a food processor fitted with the s blade, pulse the nuts, seeds, arugula, basil, garlic, salt and pepper until it forms a chunky meal. In a small measuring cup (use one with a pour spout to make it easier for yourself in the next step), combine the olive oil and water. Turn of the machine, and adjust salt, pepper and garlic to taste. You can add grated hard cheese if you want. Try Parmesan, Romano, or a similar variety. Store leftovers in an airtight container in the fridge for up to 5 days, or in the freezer for up to 3 months. Thanks, Medha! It’s a great flavor, isn’t it? 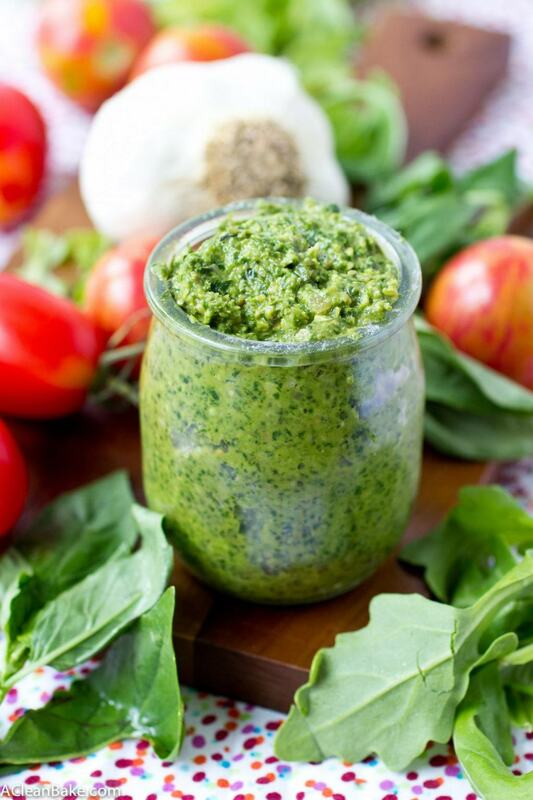 Something about summer definitely says “PESTO” to me, too! It’s just so versatile and I love how it adds so much flavor to meant and veggies. I’ve never made arugula pesto and am loving this idea with all them pumpkin seeds. A tasty condiment, indeed! oooOOOoooo that sounds delicious! 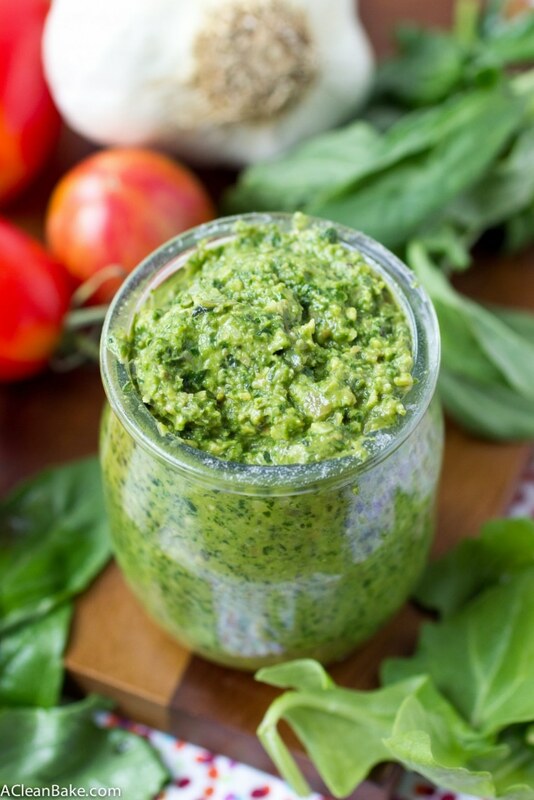 You should give this a try – anyone can make pesto!! It’s literally just a question of putting ingredients in the food processor. Plus, I think you underestimate your cooking abilities!